Looking for an Entertainer for your Halloween Party this year, then look NO further Silly Scott has the most amazing themed Halloween magical party for you. This fantastic Halloween themed show has everything you could possibly want at this time of the year. 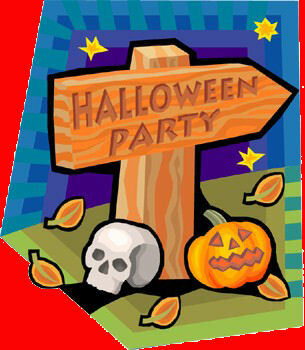 Halloween themed games like pass the pumpkin, wrap the mummy, monster statues, wind the spider to name but a few..
All with some truly spooky Halloween classic music, thriller, ghost busters, monster mash ect. This is topped off with Silly Scott's themed Halloween magic show, which is suitable for the whole family. Silly Scott's Halloween show can be booked as a 2 hour music, magic, games or maybe you would just like Silly Scott's Halloween magic show on it's own. This show is very popular at this time of year, so please book early to avoid disappointment. Just a quick email to say once again thank you. Heather had the most amazing time and was made to feel special on her big day. You kept a captive audience, both children and adults alike. Heather loves her wand and is trying to produce rabbits from all kinds of items with it. Your attention to detail and communication ensured that the party went well. I have already had lots of positive feedback regarding the amazing job that you did. I am sure that you will be hearing from us again, if not bumping in to us at one of heathers friends party's. Thanks for helping heather have a truly amazing and spooky Halloween themed 6th birthday. Silly Scott has a enhanced police check, Public Liability Insurance £10,000,000. He is also a member of Equity and The Portsmouth & District Magic Circle. Copies of his CRB document and Public Liability can be provided on request. Contact Silly Scott today, via the details on the contact page, for quality children's entertainment in Portsmouth, Southampton, Fareham, Gosport, Winchester, Andover, Fleet, Farnbourgh, Alton, Chichester, Petersfield, Hedge End, Eastleigh, Reading, Bognor, Hampshire, Berkshire, West Sussex, Dorset, some parts of Wiltshire and Surrey.